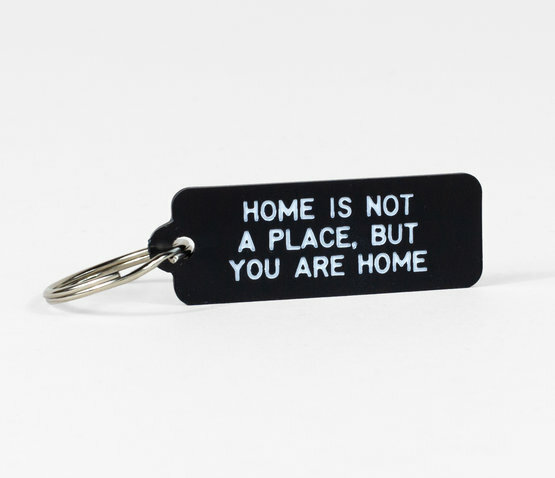 Never leave home without remembering that "home" is not a place, but rather an intangible concept and that you are your own home, wherever you go. 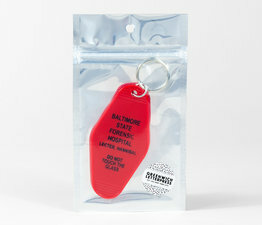 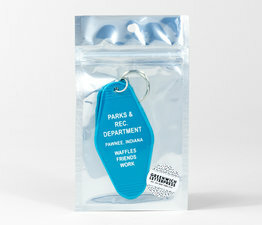 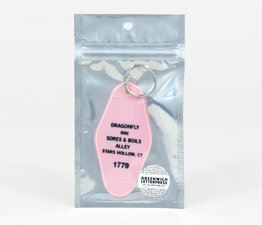 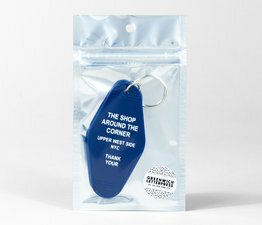 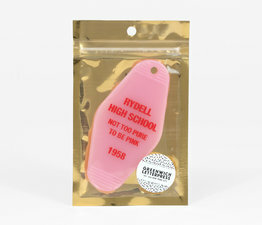 Features white stamped text in a "motel style" plastic tab keychain. 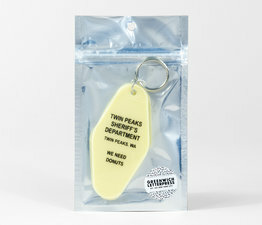 Pretty sturdy 1/10" thick plastic. 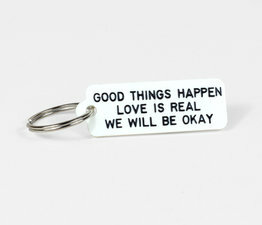 Comes on a simple split key ring.